Learning about animals, apples and pumpkins, and tractors aren’t the only things to teach in a preschool farm theme. Preschoolers love learning about seeds and growing plants, too! This post features new seed activities for a preschool farm theme. Be sure to read to the end of the post for more awesome farm activities, including FREE farm printables, too! I don’t know about you, but I tend to overestimate how much space I have in my garden. Honestly, I’m not much of a gardener, at least, not like I want to be. But each year I end up with a pile of seed packets that don’t get opened because, as it would turn out, I don’t have space for 15 varieties of vegetables and melons in my four small raised beds. 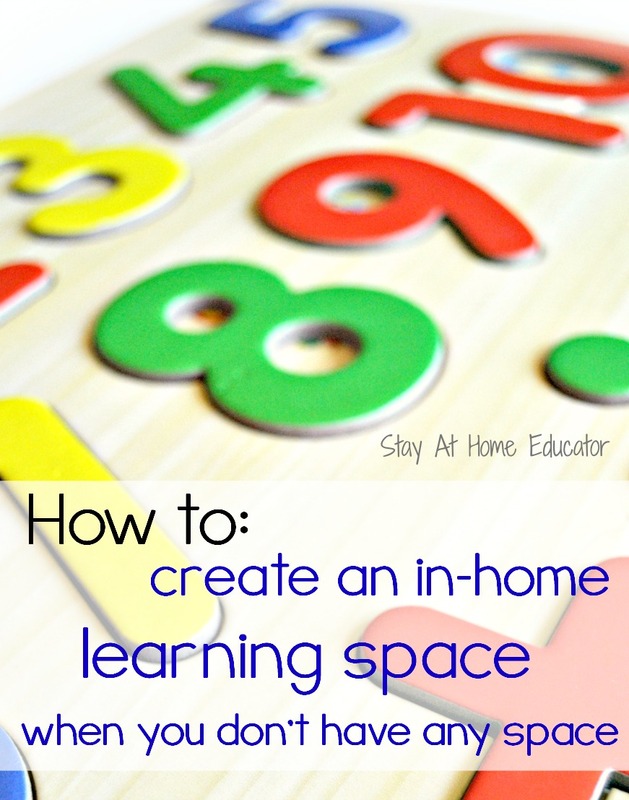 But, my lack of skills in estimating square footage ends up benefiting my preschoolers. I save those seed packets for my preschool farm theme. 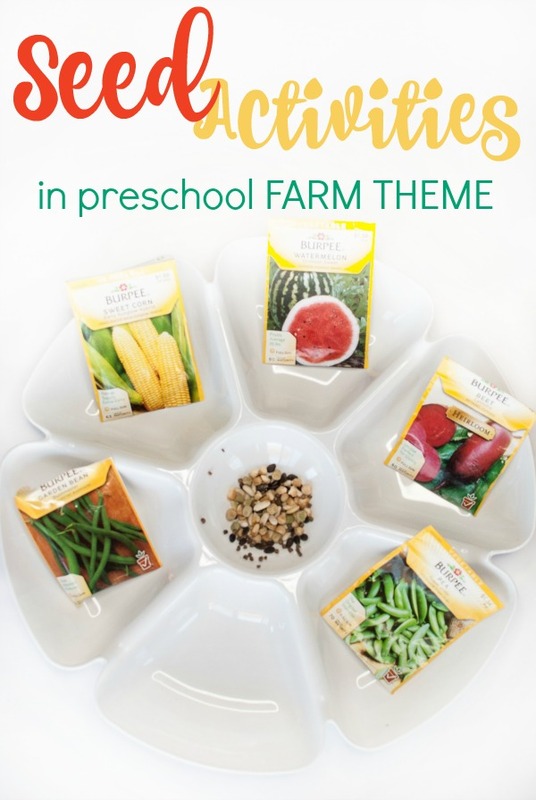 Because every preschool farm theme needs some seed activities! Even in you do not have a garden space, seeds are inexpensive, so adding some seed activities to a preschool farm theme is a cheap way to enhance your preschooler’s learning experience. You can even grab seeds from the Dollar Store. Or, if you just don’t have time to run out and grab some seeds, you can purchase seed collections online ! Certainly, though, if you are an over-estimator like me, (or maybe I’m just wishful of a larger garden area), save those extra packets for these seed activities! 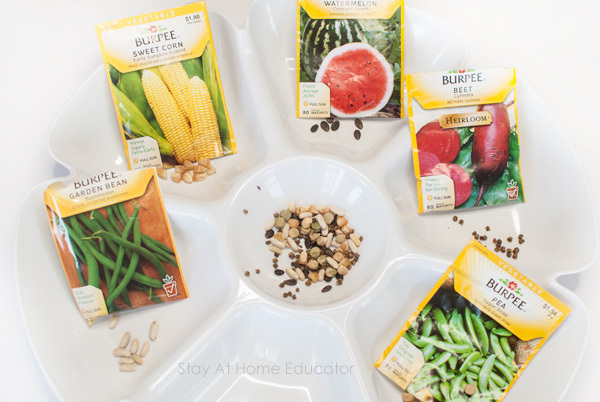 Have you introduced seeds to your preschooler yet? I like to start with some picture books about seeds and plant growth and then show my preschoolers are a variety of seeds. This is my favorite seed activity from our preschool farm science center. These seed activities for your preschool farm theme will work well for your science center, too! All you really need here are a variety of seeds. Here are some collections you can purchase online. Now, a little disclaimer…seeds are small. Even pumpkin seeds, which are larger comparatively, are still small. If you do seed activities for your preschool farm theme, those activities must be supervised to avoid any chances of choking. But to set up your seed activities, I like to first carefully open each package and invite my preschoolers to help me dump them out into a deep tray. These wooden trays work well. But hand an open seed packet to a preschooler and invite him to pour the seed into a tray. One by one, do this with each packet. The seeds will get mixed up, which is what you want. Disclaimer – plan to have a second set of seed packets or replace a few of the seeds so students will be able to make matches in the activity. Now that the seeds are all nice and mixed up, put them in a party tray with the seed packets and invite your preschooler to sort them. Don’t forget to check out the other seed activities at the end of this post! 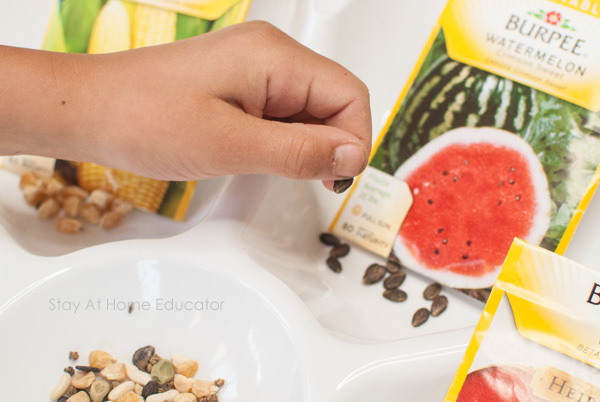 Sorting activities can be difficult for preschoolers when you are using seeds. Many seeds look very similar or have subtle differences that a preschooler simply isn’t going to notice. It’s ok if your preschooler doesn’t make perfect matches. 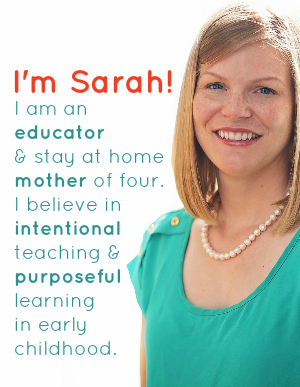 Matching colors is a good place to start, and may be exactly where your preschooler needs you to start. Remember, seeds can be a choking hazard, so be sure to always supervise your little ones. If the seeds are big enough, preschoolers can strengthen their hands by using tweezers to pick them up and transfer them to the appropriate part of the tray. Using your fingers is good for preschoolers, too, as it forces the children to use a modified pincer grasp, which is needed to have a mature pencil grip. Lots of opportunities to work on fine motor skills here. Looking for more ideas? 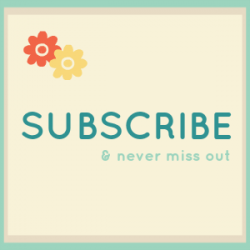 Here are some of my favorites from my fellow blogging friends. Looking for More Activities for a Preschool Farm Theme? 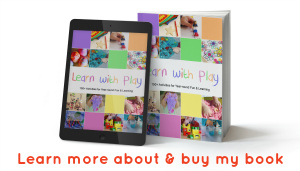 I’ve put all my BEST farm activities in a single place, making it extra easy for you to do your preschool lesson planning. Be sure to grab all the free printables while you’re there, too. Click the link below! LOOKING FOR MORE LESSON PLANNING IDEAS? 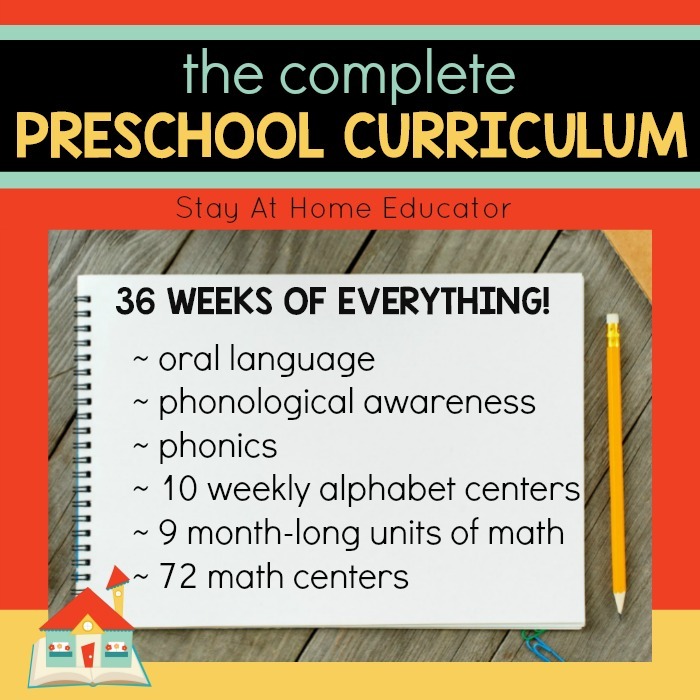 I spent nearly three years developing The Complete Preschool Curriculum, and it has everything you need to teach your preschoolers literacy and math in a fun and engaging way, without all the boring worksheets!